At 716 Dauphine Street, on the corner of Orleans Avenue in the French Corner, stands a four-story home housing a most unusual ghost, even by New Orleans standards. He is the "Sultan." The home was originally built in 1836 by Jean Baptiste LaPrete, who owned a plantation in Plaquemines Parish. It was not uncommon for such plantation owners to have homes in the city for use during the cooler months of the year. 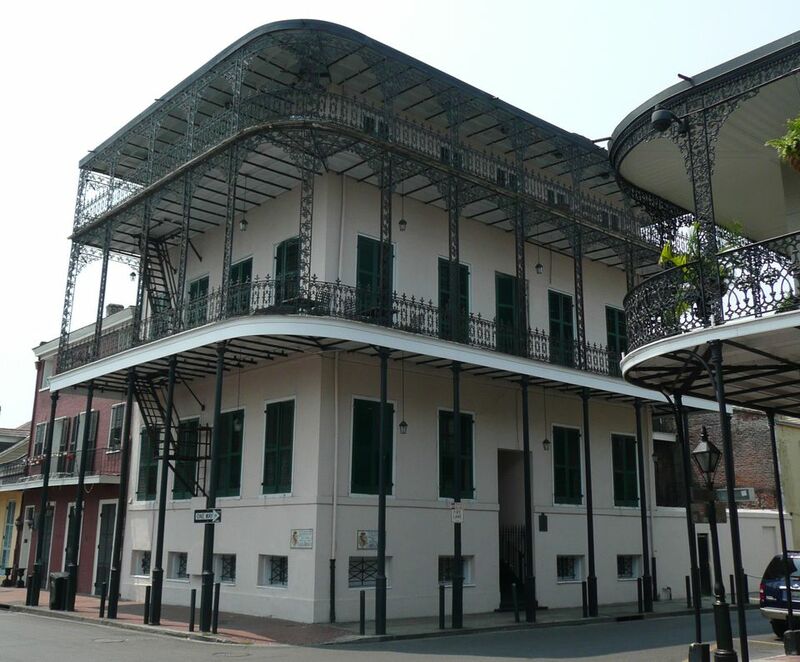 Sometime after the Union began occupying New Orleans in the Civil War, LaPrete experienced a cash shortage and was forced to rent out his city house. The tenant turned out to be a man, Prince Suleyman, a Turk who claimed to be the sultan, or former sultan, of a mid-eastern country. The Sultan had many wives and family members, in addition to a retinue of slaves/servants. The house was redecorated, with heavy draperies immediately covering all of the windows. Padlocked front doors were protected by Turkish eunuchs wielding scimitars. The heavy scent of incense was inhaled by passers-by, whenever the door was opened. It was reported that the Sultan's harem consisted not only of many women but also of young boys. Stories of orgies were commonplace, as were accounts of kidnappings of women, girls and boys, all presumably for the Sultan's pleasure. It would be difficult to tell how much of this was speculation, and how much actual fact, were it not for the gruesome discovery made one morning by a neighbor. Passing by one morning, a neighbor noticed the house was unusually quiet, and then saw blood dripping from the gallery above, and oozing out of the front door. The police found unimaginable horror there. Body parts were strewn all over the house, which was slick with blood throughout. Women, children, and guards were slaughtered and beheaded. There was just one body that had not been butchered--that of the Sultan. He had been buried alive, with one hand reaching up through the dirt, as if to claw his way out. He was buried in traditional Muslim funeral attire. The identity of the murderer remains a mystery. At the time, the police decided that pirates in the area were responsible for the carnage, but this scene did not seem to fit such an explanation. It was later discovered that Prince Suleyman was not a sultan at all, but rather was the brother of one. It was suspected that Suleyman would have been executed in his country, and so was in hiding here. It was also believed that Suleyman had stolen treasure from his brother. There was more than enough motive to conclude that the Sultan's henchmen tracked Suleyman down, and executed him along with the rest of the household. Residents of the house have reported seeing the Sultan himself, or other figures in oriental garb. Shrieking and screaming were also reported, or the sounds of body parts hitting the floor at night. Strange tinkling music and the scent of incense has been reported by passers-by. A fair-haired man has been seen sitting in the window, but he will suddenly disappear. Whether or not this is the young "sultan," we will likely never know what he seeks. But the reports of the hauntings there continue. Why Do New Orleanians Make Red Beans and Rice on Mondays?